Educators want a drug education program that works, and Foundation for a Drug-Free World provides it. Our curriculum specialists have developed easy-to-use, high-impact print and audiovisual materials that instructors know will reach their students. Each april, the annual Spring Scream music festival draws more than half a million music fans to Kenting National Park on the southern tip of Taiwan. Spring Scream also attracts drug use. Scientists are now detecting ketamine, ecstasy and other illegal drugs in nearby rivers. An annual drug-level spike in the river waters coincides with Spring Scream, environmentalists say, impacting local ecosystems and posing long-term health concerns. 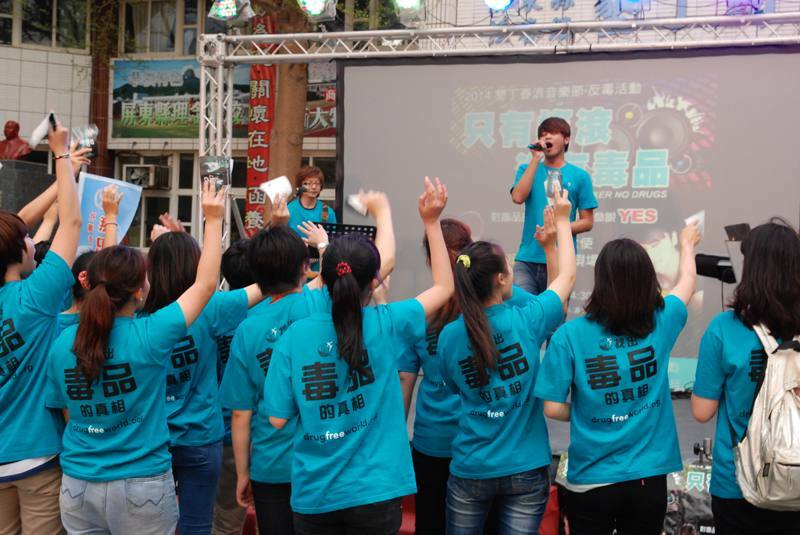 Foundation for a Drug-Free World activities in Taiwan include concerts, rallies and drug-free pledge-signing events. The group also distributes Truth About Drugs educational booklets on university campuses and at primary schools. The rivers near Taiwan’s Kenting Park are among many drug-tainted water bodies around the world. In Italy, cocaine dirties the Po River, and the Sarno River is contaminated with cocaine, morphine, heroin and cannabis. And an array of pharmaceuticals—from antibiotics to antidepressants—flows in many American rivers and streams. In addition to environmental and water safety issues, drug use at Spring Scream has long concerned parents and law enforcement. As the 2015 event approaches, there’s a growing call to bring the rampant drug abuse at the festival under control. 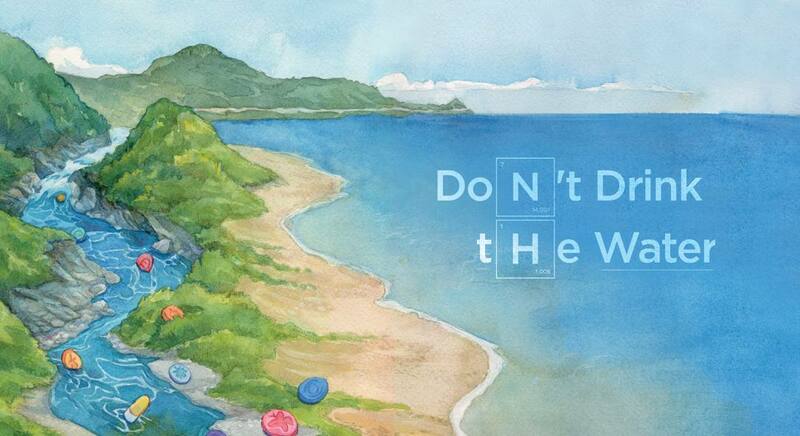 The Taiwan chapter of Foundation for a Drug-Free World says the effort must begin with education. The nonprofit had a visible presence at the 2013 and 2014 Spring Scream festivals, distributing anti-drug educational materials, and will be back at the 2015 event to carry on the work. 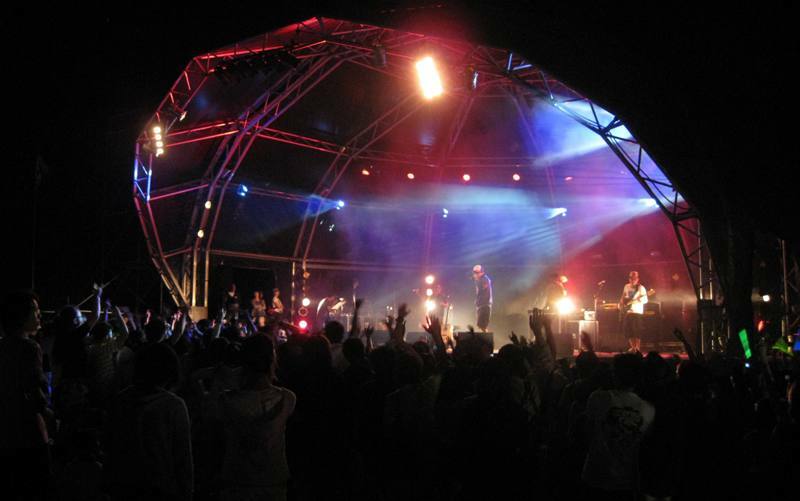 Tsai’s group enlisted support from a Kenting elementary school that provided space for an outdoor stage, where Drug-Free World put on its own, clean concert. The Drug-Free World volunteers also recruited university students in southern Taiwan to distribute the program’s Truth About Drugs booklets and encourage other young people to take a drug-free pledge. Some 150 students—from Fooyin Science University, Wenzao Language College, Nanhua University and Tatung Technology Institute—joined the work. Under the campaign banner “Rock Only. Drugs Out,” the student-volunteers passed out 40,000 copies at last year’s Spring Scream, and they plan to double that number at the 2015 event. “We really want to take back the rock festival so it is the musical adventure it should be—without drugs,” Tsai says. At the core of the Scientology-supported Truth About Drugs program are a dozen booklets explaining the ill effects of commonly used drugs. The aim is to provide young people with the straight dope—facts they can use to make informed decisions for themselves, explains Tsai, adding that when kids are given the lowdown on drugs—what they are and what they do—usage rates drop. “That’s why we get the ecstasy booklet into as many hands as possible at Spring Scream,” she says. 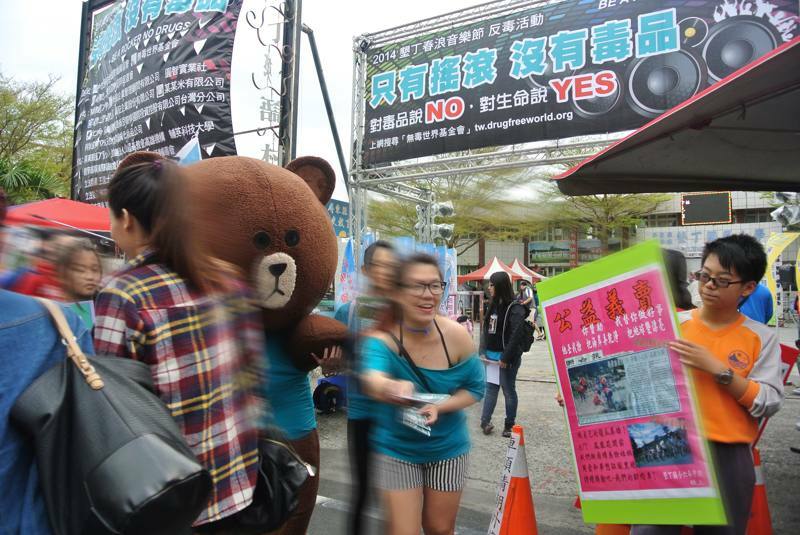 The Truth About Drugs campaign around Spring Scream is just one of the efforts of Taiwan’s Drug-Free World chapter. Their year-round mission is tackling the broader issue of drug abuse in the state. Government reports in 2012 identified the most-abused drugs: heroin, methamphetamine, ketamine, Zolpidem (a prescription sleep aid) and ecstasy. Heroin topped the list for the sixth straight year, while ketamine abuse doubled from 2011 to 2012. As part of this effort, Truth About Drugs volunteers run drug education programs in schools. One such program, “Drug-Free Day,” debuted in June 2014 at 18 primary, middle schools and high schools in Kaohsiung, Ping-Tung City and other Taiwanese municipalities. Roughly 7,000 students attended assemblies featuring drug education presentations, where they received their own set of Truth About Drugs booklets and pledged to live their lives drug-free. Truth About Drugs campaign activities also include art shows, concerts and drug-free pledge-signing events—all aimed at young people. “Our goal is to reach kids with the Truth About Drugs before drugs reach them,” says Tsai.